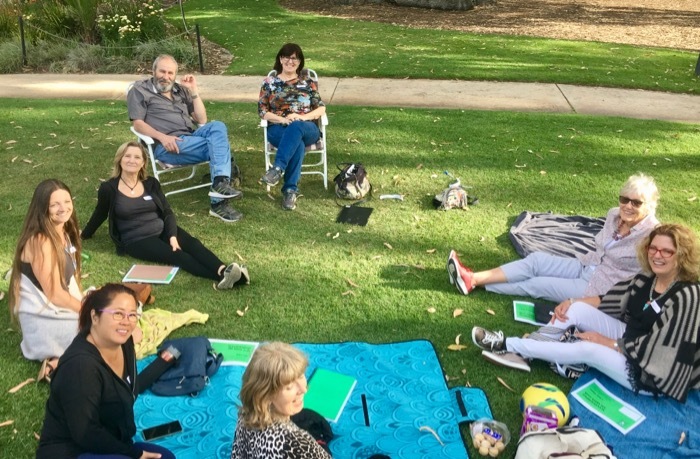 This year I’ve been getting enormous pleasure from running mastermind groups for small business owners, writers and other creatives here in Perth – and I’ve also learnt a lot from running these masterminds, as I wrote about recently. And on top of all that, my masterminders have been very satisfied customers! It warms my heart enormously that these mastermind groups have turned out to be all that I’d hoped for, plus more. My intention was for them to be a way for my regular clients to keep up-to-date with the ever-changing world of social media and blogging, and to get some accountability to implement what they’ve learnt – but they’ve also turned out to be wonderful for connecting people, and for inspiring me, too! At a meet up for members of my five mastermind groups – lots of fun! Recently I asked my mastermind participants to tell me one reason they thought people should join a mastermind group, and here are some of their responses – if you think any of them ring true for you then email me to find out about group openings in 2019! Because without a doubt, even when you think you’ve worked your blog, social media or Pinterest accounts out, you will ALWAYS have an ‘Ah Ha, Lightbulb’ moment during a Mastermind session. The tiniest tweak can make all the difference. Mastermind groups with Amanda – so much more than learning about social media techniques. That is just the beginning. Amanda’s mastermind groups are a rich treasure trove of wonderful human beings (starting with Amanda) who inspire, encourage, lead, create, set benchmarks, support, share and make being in business a far richer experience in all ways! Yes, including financial. It really helps deal with those feelings of isolation and uncertainty you can have as a writer / blogger / businessperson – how do I do this, should I be doing that…? Here’s one of about twenty reasons that came to mind when I saw this question. As a writer, being a Mastermind group has expanded my knowledge and nurtured my involvement with social media far beyond what I would ever have thought possible. Love the accountability! 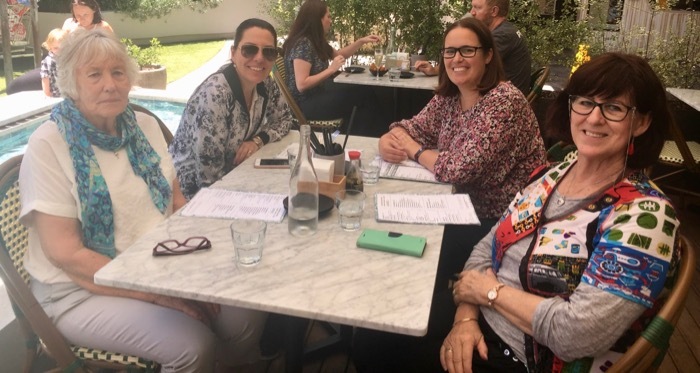 The best thing about joining a mastermind group is the connection to like minded business women – there is nothing better than having a group of people holding your vision with you, sharing your excitements and celebrations as well as your challenges. I have gained an increased depth of knowledge of a range of social media platforms which has helped me be selective about which ones I focus on to grow my followers. Want to know more about my mastermind groups? Last year’s information is still correct and you can find it in this post about mastermind groups – and otherwise email me (amanda@amandakendle.com) to ask me more.